New 2019 dates released for 10-16 Year Olds! 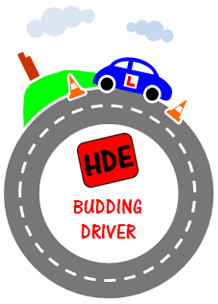 10-16's - Book Now for one of our HDE 10+ Budding Drivers events. | 17+ Driver Training - Introductory Offer - First 3 Hours for £29!! | Business Driver Development - Workplace Driver Training - Contact HDE for further details on our Bespoke Services. 2019 Event Dates Now Available. Based on teaching and coaching models used internationally – and proven to reduce incidents and fatalities on the roads, two local Approved Driving Instructors have planned and created Huddersfield Driving Experience’s Budding Drivers which is delivered in Huddersfield at the John Smith’s Stadium specifically aimed at young people aged from 10 years plus. Co-founded by Peter Tiernan ADI and Nigel Deans ADI, with extensive years of working in the Driver Training Industry, along with thousands of miles of driving experience between them, together they have built and developed the HDE brand from a shared interest in raising the standard of driving on the roads of West Yorkshire. Currently one in five newly qualified drivers will crash within 6 months of passing their driving test. More shockingly, newly qualified drivers and their passengers account for one in five road deaths in the UK. Therefore the emphasis of Budding Drivers is to help promote an early awareness of the need for road safety. It will also provide a positive insight into the skills required to become a competent and conscientious driver in a fun and exciting environment. Delivered on a specialist course, a core group of local Approved Driving Instructors will start coaching young people how to drive in one of a range of fully insured dual control cars. All ADI’s involved in Budding Drivers are registered with the Driving & Vehicle Standards Agency (DVSA), and are subject to an Enhanced Disclosure & Barring Service Check (formerly a CRB Disclosure) as part of the DVSA licensing process. Collectively they have a wealth of knowledge and experience in coaching a wide range of Learner Drivers in the local area, and are therefore extremely well placed to extend their skills to a younger audience. On the day we aim to have drivers on the move in under 5 minutes and they will be given instruction on how to move off and stop safely, how to steer the car and change gear. Further time and additional lessons will provide time to also move onto instruction on junctions, and manoeuvres which may include a turn in the road, left reverse, reverse park or bay parking whilst building confidence in vehicle control. After the Driving Lesson each driver is given their very own personal Budding Driver Diary and photographs will be available to view on our social media pages. For those drivers returning for additional lessons at future events, we will ensure they advance their skills and experience which will help to assist and support early progression when they turn seventeen and become eligible to apply for a Provisional Driving Licence and commence driving lessons out on the roads. Group Bookings are also available for those who would like to share the experience of driving as a group with their friends. If your group has any specific requirements, we are always willing to address and meet these needs wherever possible, and naturally on the day, family and friends are welcome to come along and watch as we do have ample parking and a spectator’s area.